Plus: Kirk Cousins doesn't come up clutch when it matters the most. By Chris Jastrzembski·	 1/2/2017, 2:00 p.m.
With the regular season wrapped up, let’s check in with the rest of the NFC East and see what’s going on with the other three teams in the division. We’ll begin with the Dallas Cowboys, who lost to the Eagles yesterday afternoon, 27-13, where many of the Dallas backups played. Tony Romo saw his first action of the season, and led the Cowboys to their only touchdown on his lone drive of the game. 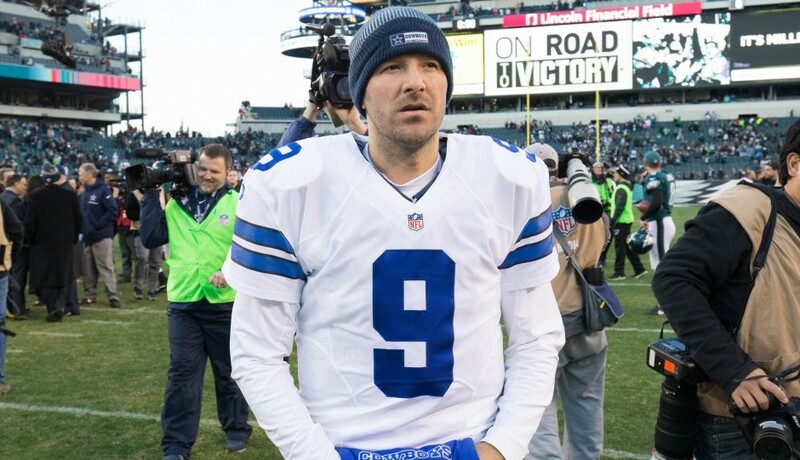 Speaking of Romo, it appears his time as Dallas’ starting quarterback is done. It’s Dak Prescott‘s job to lose, and Romo doesn’t sound thrilled about it, according to Mac Engel of the Dallas Morning News. As evidenced by Romo’s 6-minute postgame press conference, he clearly does not agree with any of this. He was brief, and wanted to avoid “existential questions” … whatever that means. “I just wanted to prove to myself and prove to the coaches and to the teammates that I can be the same guy,” Romo said. Tony is not dumb; he knows the storylines and the questions. He’s not answering them not to be rude, but rather to avoid any headline that is about him, even if that is impossible. Defensive end Randy Gregory showed why he’s a valuable part of the defense, recording seven tackles and a sack in his second game of the season. But he may not be available for the playoffs due to another violation of the NFL’s substance abuse policy, pens Jon Machota of the Dallas Morning News. Cowboys executive vice president Stephen Jones said Sunday that Gregory will have an appeal hearing “in the next week to 10 days.” The second-year defensive end is appealing his latest suspension for violating the NFL’s substance abuse policy. If the suspension is upheld, Gregory will not be able to participate in the playoffs. With many Cowboys starters sitting out Sunday’s season finale against the Eagles, the former second-round pick played the majority of the day. He recorded his first career sack, another tackle for loss, a quarterback hit and was second on the team with seven tackles. The Cowboys have the top seed in the NFC Playoffs and will host the lowest remaining seed from the Wild Card round at AT&T Stadium on Sunday, January 15. Moving on to the New York Giants, who also had nothing to play for, but defeated Washington, 19-10. The Giants want to have the best defense in the league, and with another shut down performance, the New York Post’s Bart Hubbuch writes that they can hang with the best. The Giants looked like they would hold Washington without an offensive touchdown for the first time all year until [Kirk] Cousins hit Jordan Reed with a 1-yard touchdown pass with 8:13 left in the game, but all that play ended up doing was firing up defensive coordinator Steve Spagnuolo’s unit even more. The Giants forced two turnovers after Reed’s score, with the biggest one being Rodgers-Cromartie’s second pick of Cousins when he stepped in front of Pierre Garcon at the New York 25. The Giants were particularly merciless with Cousins, harassing him all afternoon and sacking him four times. Three of those sacks were by defensive backs as Spagnuolo unleashed the blitz on Washington’s veteran quarterback. The emergence of Perkins as a force in the running game is what the Giants need as they prepare for the playoffs, notes Pat Leonard of the New York Daily News. Ben McAdoo wanted his offense more confident in a sustained rushing attack and he accomplished that goal at FedEx Field, pounding the ball as a team for a season-high 161 rushing yards complemented by Rashad Jennings (14 carries, 44 yards, one touchdown, 3.14 yards per carry). “It was nice to run the ball to end the year in a big game like this,” left guard Justin Pugh said. Perkins has shown better burst and vision than Jennings. The rookie has out-carried Jennings for two straight weeks, and the former Bruin said he was most pleased with his yards after contact on Sunday. He took a 22-yard jaunt for his long run of the day. The Giants are the top Wild Card team and will take on the NFC North champion Green Bay Packers at Lambeau Field on Sunday afternoon. And finally to Washington, who was eliminated from playoff contention with the loss to the Giants. Kirk Cousins threw for 287 yards and a touchdown along with two interceptions. In a very important game for his future with the team, Cousins failed to come up clutch, writes Barry Svrluga of the Washington Post. Parsing the specifics is part of Cousins’s job, how he learns from mistakes and moves on. Here, though, such nit-picky assessments served only as distractions from the issues that matter in the weeks and months — and years? — ahead. What the crowd at FedEx Field wanted out of Sunday was a relaxing, satisfying victory — over a team that didn’t have much to play for — and the second straight trip to the playoffs that would have accompanied it. What it got instead wasn’t just the instant frustration of the season’s end, but that uneasy feeling of not being able to emotionally commit, completely and unabashedly, to the most important player on the team. There’s no way around it: The fact that Cousins twice was presented the opportunity to win the game, and twice failed to win it, means we have inevitable intrigue about whether the team and the quarterback will continue a relationship that is both fruitful — the two gaudiest seasons in terms of passing yards in the franchise’s history — and fraught with moments like Sunday, when he could have run for a first down, but instead threw that late, season-ending pick. Last year, Washington placed the franchise tag on Cousins to keep him around for a season and $19.95 million, and it seemed the prudent thing to do — allowing the club to further evaluate its player, and the player to develop in his second season as a starter. But what was supposed to come of that season was a clear answer. And not just clarity in stats, but in how the town and the team felt about him going forward. CSN Mid-Atlantic’s Rich Tandler previews some of the decisions the team will have to face as they enter the long offseason. Set the philosophy: Scot McCloughan loves to talk about building through the draft but then when Josh Norman became available the Redskins dropped a $15 million per year contract on him. The Redskins will have at least $60 million in cap space even after that big deal. McCloughan is going to have to decide if he is going to try to fill some needs in free agency or stick with the draft and leave a pile of unspent cap money. Decide what to do with Cousins: The franchise tag is very much an option. His salary will jump from just under $20 million to just under $24 million, an increase that can be handled by a jump in the salary cap that should be in excess of $10 million. The better option would be a long-term deal but that will be a bear to negotiate. Supply and demand of even competent quarterbacks pushes the money up there. It may well take a contract north of $23 million per year to lock him up for the next several years. Improving the defensive line: The Redskins need to quit relying on the likes of Ziggy Hood and Cullen Jenkins playing significant snaps on the D-line and get some more talent in the building. The first decision will be whether or not to bring back Chris Baker, the team’s best defensive lineman who will be a 29-year-old free agent in March. Should they bring him back with a significant contract or should they move on and start from scratch? There will be options in free agency, where McCloughan’s record is spotty, and in the draft, where McCloughan can’t seem to find a lineman who meets his standards for “a football player”. The two receivers: Pierre Garçon and DeSean Jackson will both be free agents. With the cap space they will have available they likely could afford to sign them both. But investing heavily in two wide receiver who turned 30 recently may not be proper cap management. That makes it seem very unlikely that both will return but it’s certainly possible that one of them will. There also is a chance that neither will. Just like the Eagles, the Washington’s season is over. Plenty of offseason questions remain, such as what to do with Cousins. Offensive coordinator Sean McVay is also reportedly interviewing for the head coaching job with the Los Angeles Rams.